I always look forward to new Bliss Polish releases, so when she gave me the opportunity to swatch her birthday duo I was over the moon. 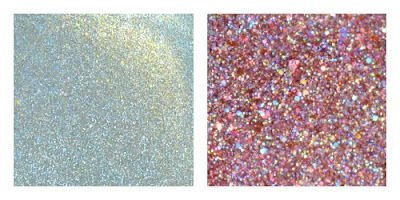 The Birthdayversary Duo celebrates Bliss Polish's third anniversary with a whole lot of sparkle. Notes: I've always been a huge fan of gray shades, but this one has to win an award for "most unique" in my collection. At times it leans more taupe than gray which is probably due to the gold shimmer as seen in the sun photo. Whatever you want to call it, I certainly want more! Formula: A little thick but manageable. 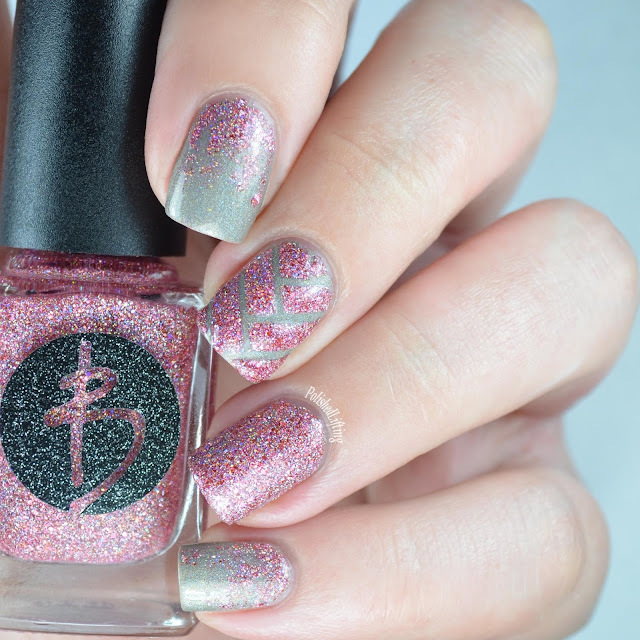 Notes: This beauty is such an interesting shade because of the silver holo paired with the rose gold microflakies. Instead of being left with a straight pink holo, we get to enjoy something with a bit more depth. What's an anniversary duo without some nail art? I wanted to keep things fairly simple, so the only addition to the duo was the use of a single herringbone vinyl from Vinyl Quickies. While I loved last year's anniversary duo, I really think that this one is my favorite. Pink and gray go so well together, and Yvette elevated the colors beyond the standard shades. The Birthdayversary Duo will be available on August 9th for $9/polish or $18 for both.